Carefully remove the sharp edges of the sharp edges of burrs, and then clean. The correct installation of the seal to seal around, pay attention to direction of assembly direction of the seal does not make a mistake, the sealing is to use assembly oriented assembly tool assembly seals, disable the screwdriver into the hardtop, to break the seal that nine out of ten. Be careful not to twist when assembling. The piston and piston rod assembly, should be put in the two V block, measuring the coaxiality error and the length of the straightness error indicator. Hydraulic oil is added to the bore of the cylinder to assist the piston to enter the bore of the cylinder. 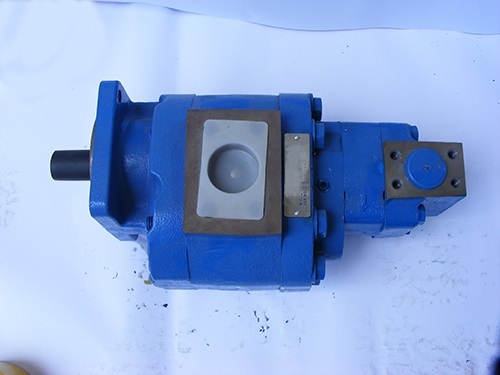 Piston assembly into the cylinder hole, the gear pump at least be able to tap in, knock people without delay and the severity of the uneven phenomenon. When the cylinder head is fitted with a cylinder, the bolt or bolt shall be tightened evenly, and a torque wrench shall be recommended. After loading the cylinder head, it should be possible to move the piston rod with little effort. If the card dies, it indicates that the cylinder head is not mounted. The mounting surface of the center line of the inner bore of the hydraulic cylinder of the assembled hydraulic cylinder for the support of both ends of the hydraulic cylinder has a parallel tolerance of 0.05mm, which can be measured by hydraulic or manual operation without the connecting load of the piston rod. Hydraulic cylinder is installed on the host, to guide or the installation surface as the base, adjusting hydraulic cylinder, hydraulic cylinder axis (through the piston out check) and parallel to the mounting surface of guide (tolerance in the range of 0.05 ~ 0.10mm), recommended scraping correction, does not recommend the copper pad.